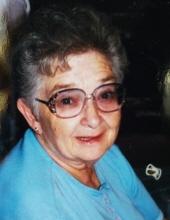 Shirley Ann Feagley, 80 years, of McConnellsburg, PA, passed away on Monday, January 14, 2019 at AristaCare at Woodland Park in Orbisonia, PA. She was born on Sunday, January 30, 1938 in Big Cove Tannery, PA, the daughter of the late William and the late Margaret (Shives) Sowers. Shirley was a 1956 graduate of the Greenhill High School. She was cook at various local restuarants until she retired. Shirley's greatest pride and joy was her family including her grandchildren and great grandchildren. Shirley is survived by her two children, Mary Ann (wife of Harold) Lynch of McConnellsburg, PA and Mike (husband of Tina) Feagley of McConnellsburg, PA, 4 grandchildren (Selena, Amy, Kearstin and Brice) and 3 great grandchildren (Zach, Kloie and Cameron). She is also survived by one brother Harry Sowers of Fort Loudon, PA and one sister Mary Souders of McConnellsburg, PA.
Shirley is preceded in death by her parents and 4 siblings, Wayne Sowers, Larry Sowers, George Sowers and Edna Hann. An evening of visitation will be held on Thursday, January 17, 2019 at Kelso-Cornelius Funeral Home in McConnellsburg, PA from 6:00 PM -8:00 PM. Funeral services will be held on Friday, January 18, 2019 at 1:00 PM at the funeral home with interment immediately following at Antioch Cemetery in Big Cove Tannery, PA. The family has entrusted Shirley's care to Kelso-Cornelius Funeral Home in McConnellsburg, PA. Online condolences may be expressed at www.kelso-corneliusfuneralhome.com. To send flowers or a remembrance gift to the family of Shirley A. Feagley, please visit our Tribute Store. "Email Address" would like to share the life celebration of Shirley A. Feagley. Click on the "link" to go to share a favorite memory or leave a condolence message for the family.